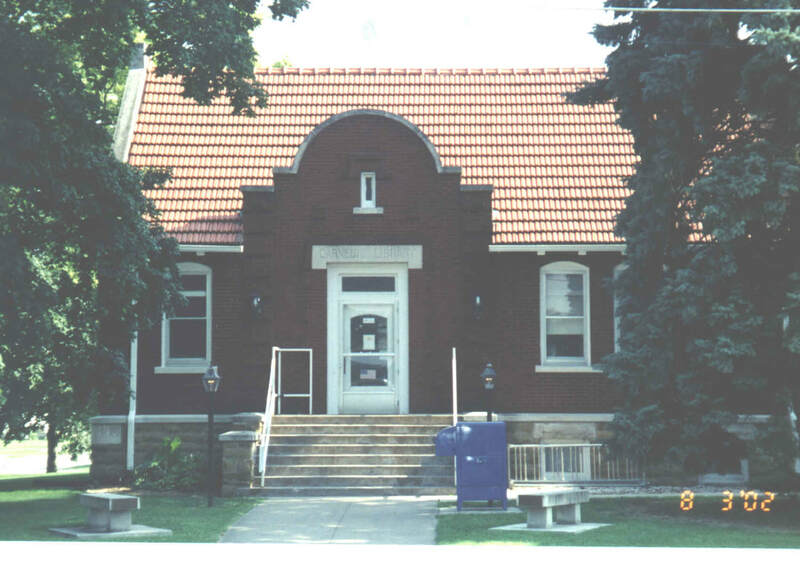 The library was founded in 1905. A letter was written on May 3rd 1904 to Andrew Carnegie. 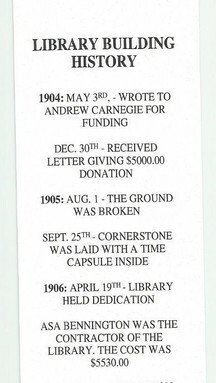 On December 30th 1904 a letter was received giving a donation of $5,000. 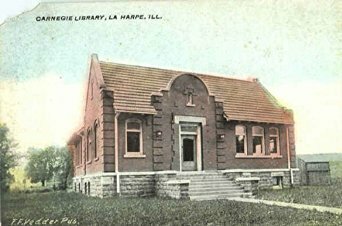 August 1st 1905 the ground for the La Harpe Carnegie Public Library District was broke, and on April 19th of 1906 a library dedication was held. The library serves a population of 2026. 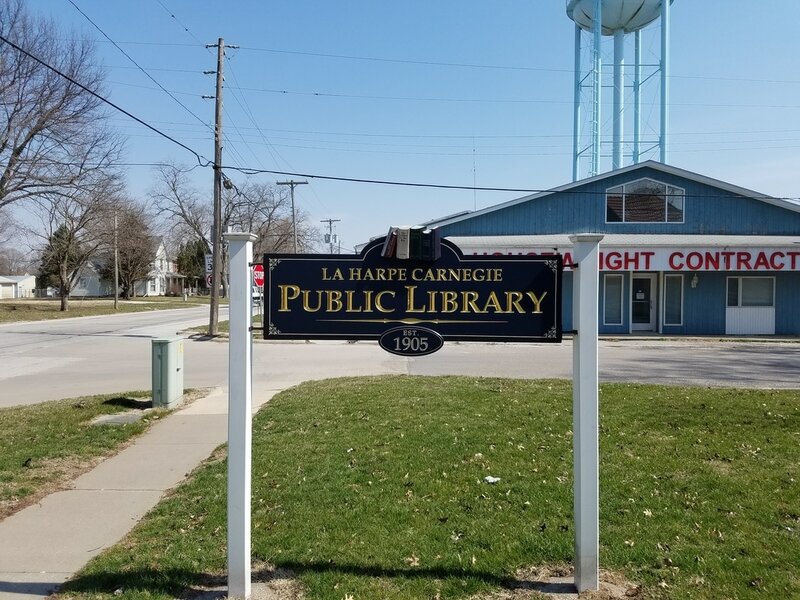 The library serves anyone living in the La Harpe elementary school area that lives in Hancock county, this includes parts of Ft. Green, Webster, and Blandinsville addresses that go to La Harpe schools. Anyone living outside these addresses without a home library may purchase a library card for $75. The library has an annual Summer Reading Program geared toward all children and ages. 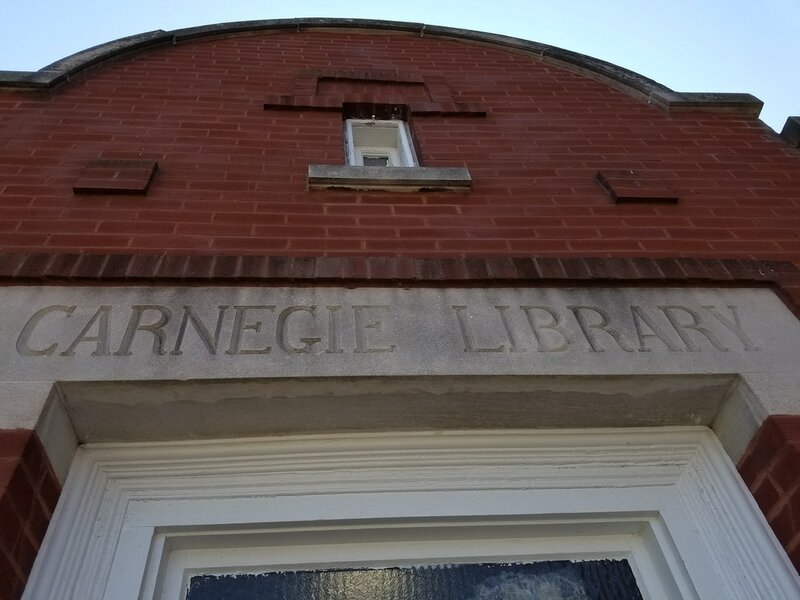 This library is part of RAILS, Reaching Across Illinois Libraries.